Interested in hiring one of our graduates but still have questions? Check out our FAQs below, and if your question is still not answered you can contact us at info@wfw.org. Do Workshops for Warriors Students earn nationally recognized portable and stackable credentials? The National Institute for Metalworking Skills (NIMS) is the only ANSI-accredited developer of precision manufacturing skill standards and competency assessments in the nation. According to the Manufacturing Institute, NIMS has developed skill standards in 24 operational areas covering the breadth of metalworking operations, with 52 distinct skills credentials. NIMS credentials cover a range of machining specialties, including CNC programming and operation. Mastercam, for the better part of thirty years, has been the market leader in CAD/CAM for both education and industry. Learning the most widely used CAD/CAM software in the world gives entrants to the workforce the ability to quickly find jobs they want, and having the skill set that employers are looking for gives prospective employees a competitive advantage in the marketplace. Mastercam provides that opportunity. 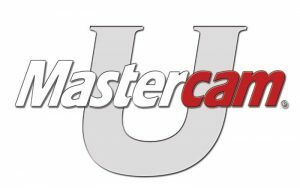 Mastercam University is their training program. 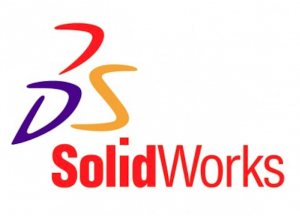 SOLIDWORKS, a Dassault Systèmes brand, is a world leader in 3D solutions that helps millions of engineers and designers succeed through innovation. Our products deliver an intuitive experience in product design, simulation, data management, electrical design and technical communications. The SOLIDWORKS focus on ease-of-use allows more engineers, designers and other technology professionals than ever before to take advantage of 3D. More than three million product designers and engineers worldwide use SOLIDWORKS to bring their designs to life – from the coolest gadgets to innovations that deliver a better tomorrow. Millions of students have graduated with SOLIDWORKS training. American Welding Society (AWS) is the nation’s premier entity for welding certification and has a strong collection of certification documents on its website. They provide the industry standards for welding and joining of metal, plastics, and other materials through their own codes and qualification procedures. 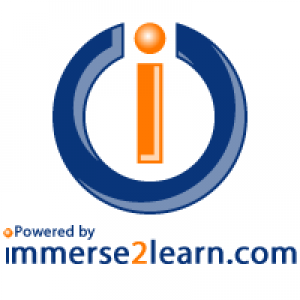 Immerse2Learn online training solutions are used to develop core knowledge and fundamental skills by combining multimedia such as true simulation, animation, video, and audio with an easy-to-use Learning Management System (LMS) along with a Virtual Training Environment (VTE). 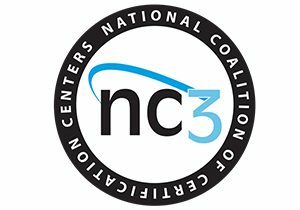 National Coalition of Certification Centers (NC3) develops, implements, and sustains industry recognized portable certifications built on national skills standards. The organization was established to address the need for strong partnerships between industry and educational institutions. How long are your training programs? We teach 16-week accelerated semesters in both machining and welding where students earn portable and stackable credentials. The average number of credentials earned in one semester per student is 4, but they can earn up to 15. Can any Veteran, Wounded Warrior, or transitioning service member apply to the Workshops for Warriors program? Active Duty personnel must have TAD no-cost orders from their commands. Must be able to commit to attending classes in our San Diego location five days a week for a 16 week program. Must sign a statement confirming that they understand our attendance policy. Three tardies equal one absence and five absences will result in immediate dismissal from our program. Can any Veteran, Wounded Warrior, or Transitioning Service Member be accepted into the Workshops for Warriors program? No. Although we would like to accept every eligible Veteran, Wounded Warrior, or Transitioning Service Member, Workshops for Warriors is limited to accepting 50-60 students per four-month semester. What does it cost to train one student at Workshops for Warriors? It costs $20,268 to train one student per semester on over $6 million worth of the latest technology equipment with the best instructors in America. This results in a job-ready graduate eager to integrate into America’s Advanced Manufacturing Workforce. That seems like a lot, why? Quality costs money. Our instructors are nationally recognized masters of their craft that are highly sought after. Our machines are costly to maintain, repair, and keeping running each and every day. Our monthly costs are approximately $200,000 per month because of the electricity it takes to run the equipment. Despite the fact that we keep overhead costs low with 87% of funds going straight to student programs, we offer classes day and night to accommodate our students who may have day jobs, so we’re open well beyond 40 hours per week. How many graduates per year? Our graduating classes have continued to grow each semester. Currently, we are limited to accepting between 50-60 full time and part time students per semester with approximately 40 graduating per semester. I can’t afford $20,268 to help you train a student, what can I do? While funding is our biggest issue, we understand that not all employers are able to donate the $20,268 it costs to train one student. However, any donation, whether that be $20, $30, or $100, makes a big difference to the school. We do ask that our employers help offset the training with a recurring donation. You can check out more on our How You Can Help page. Have you spoken with politicians? David Alvarez, San Diego City Councilmember representing City Council District 8. Toni Atkins, California State Assembly Speaker Emeritus. Chris Cate, San Diego Council member representing City Council District 6. Rocky Chavez, member of the California State Assembly representing the 76th District. Greg Cox, San Diego County Supervisor of District 1. Susan Davis, Congresswoman for the 53rd District of California. Kevin Faulconer, Mayor of San Diego, invited Workshops for Warriors to film a PSA with him in May 2016 highlighting the importance of educating San Diego youth, which you can see here. Lorena Gonzalez, serving in the California State Assembly representing the 80th District. Ben Hueso, member of the California State Senate from the 40th district. Darrell Issa, Congressman for the 49th District of California. Mark Kersey, San Diego City Councilmember representing District 5. Scott Peters, Congressman for the 52nd District of California. Jerry Sanders, former Mayor of San Diego. Juan Vargas, U.S, Representative for California’s 51st congressional district. Lorie Zapf, San Diego Council member representing City Council District 2. In 2013 Founder Hernán Luis y Prado was recognized by the White House as a “Champion of Change” for Workshops for Warriors’ extensive work and achievements. Obama asked Luis y Prado to build 103 of these schools across the Nation. The government should fund this, why don’t they? The GI Bill® application process is an 8-year process, and Workshops for Warriors is currently in year 7. This means that the Spring 2019 cohort of students will be able to use their GI Bill® benefits. This will allow them to focus full time on earning the credentials and skills they will need to be competitive in the workforce. This will give them a stipend to be able to go to school full time, as well as make sure the school itself is self-sustaining. What happens if I hire a WFW graduate and he/she does not work out? Since 2008 we have never had a complaint about a WFW graduate not working out. We are confident that all of our graduates leave our programs trained with the skills and work ethic they need to be successful, but if for some reason the hire does not work out we urge you to talk with our Chief Academic Officer to discuss what went wrong. This will allow us to improve our student selection process and improve our student preparations for their civilian careers. Are all of your students ready to work right away? Our students are not ready for full-time employment until they complete the WFW semester. This is a WFW policy because we want to ensure that all of our graduates complete their training and receive all of their credentials, which enable them to be fully prepared for a job worldwide in advanced manufacturing. Some of our students are also active duty (transitioning out of the military within six months), which can delay their civilian employment timelines by up to four months. Do you accept employers from out of town? Absolutely. 90% of our graduates are willing to relocate. If you sign up for a free employer account on our portal here, you will be able to connect with graduates who are interested in relocating to your location. How soon after I sign up for the employer portal will I be connected with graduates? We are currently the only training pipeline in the Nation that trains and certifies Veterans into advanced manufacturing careers. Due to the tremendous demand, you may experience delays of up to 5 days. You will have immediate access to view candidates after creating your account. You will also be able to post job descriptions if you have opening positions at your company and are interested in hiring a Workshops for Warriors graduate. Do WFW graduates have any prior experience? While some of our students do have direct experience in welding and manufacturing from their time in the Military, we urge employers to consider time spend serving in the Military as a substitute for prior experience. According to The Manufacturing Institute, they have matched 11 key manufacturing occupations with military specialties, so if you require years of experience or a certain degree, Military training and experience could be a substitute. How many of your graduates can I hire? All interviews are set up by our Education Program Manager, so we make sure there is a good fit for everyone involved. If your company has quality, high-paying jobs, there is no limit to the number of graduates you can hire. How could I learn more about your program? A great way to learn more about our programs is to check out a breakdown of the credentials our alumni have earned. We have a real-time counter that shows the number of credentials earned, and then clickable links that show which specific credentials were earned in any given category. You can check out these numbers here. Do you have any programs for employers to come and speak with your students about their business? Absolutely! Donors have the option to come and speak to students directly about their company. Please let us know if you are interested and we will coordinate this opportunity with you. If you would like to submit your question, please do so here and we will include this on our FAQ.